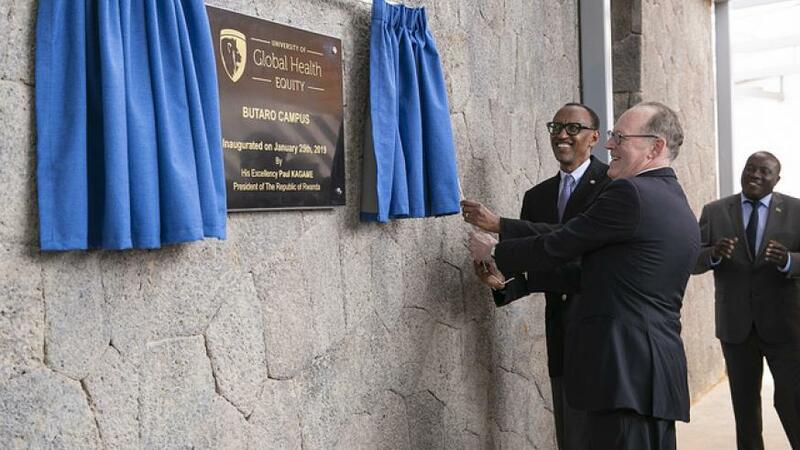 President Kagame and Dr Paul Farmer (R), the co-founder and Chief Strategist of Partners In Health (Inshuti mu Buzima) inaugurate the Butaro campus in Burera District on Friday. The new campus is home to the University of Global Health Equity (UGHE). Urugwiro Village.